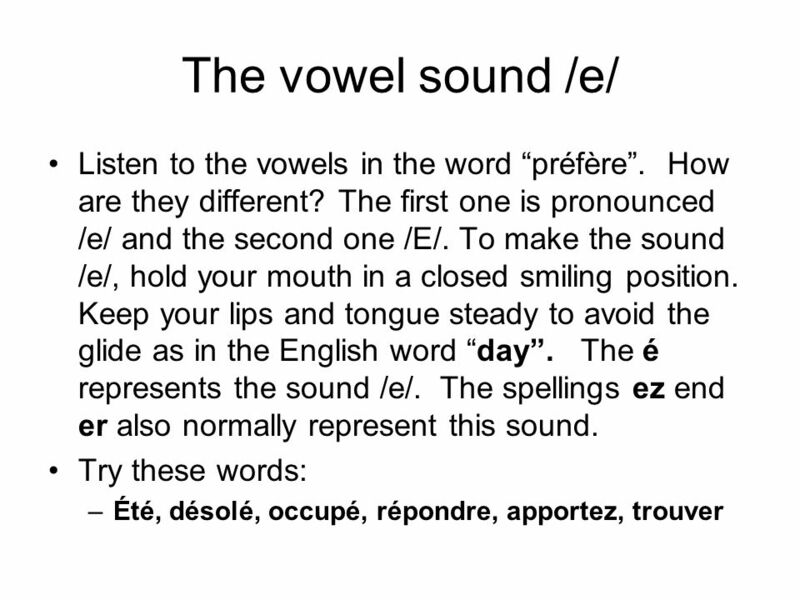 The vowel sound /e/ Listen to the vowels in the word “préfère”. How are they different? The first one is pronounced /e/ and the second one /E/. To make. 2 The sound /E/ Some spellings of this sound are ait, ais ei, and ê. 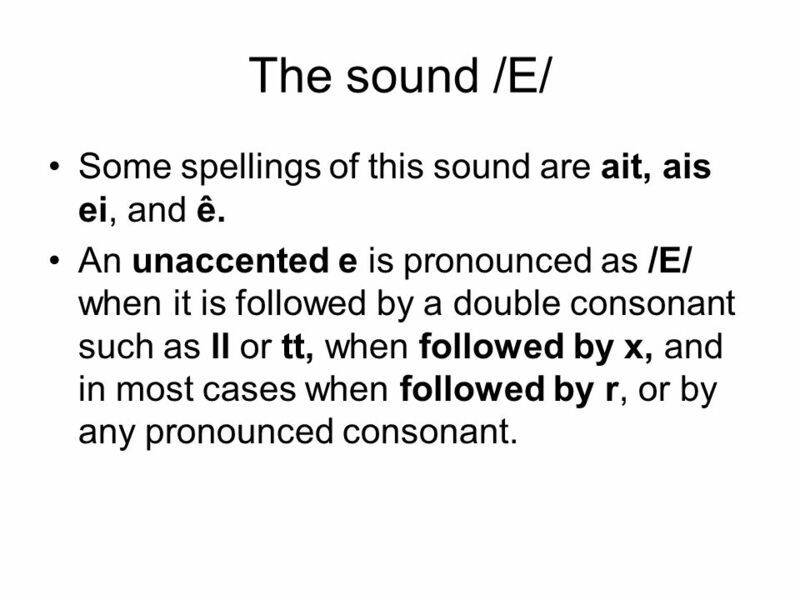 An unaccented e is pronounced as /E/ when it is followed by a double consonant such as ll or tt, when followed by x, and in most cases when followed by r, or by any pronounced consonant. 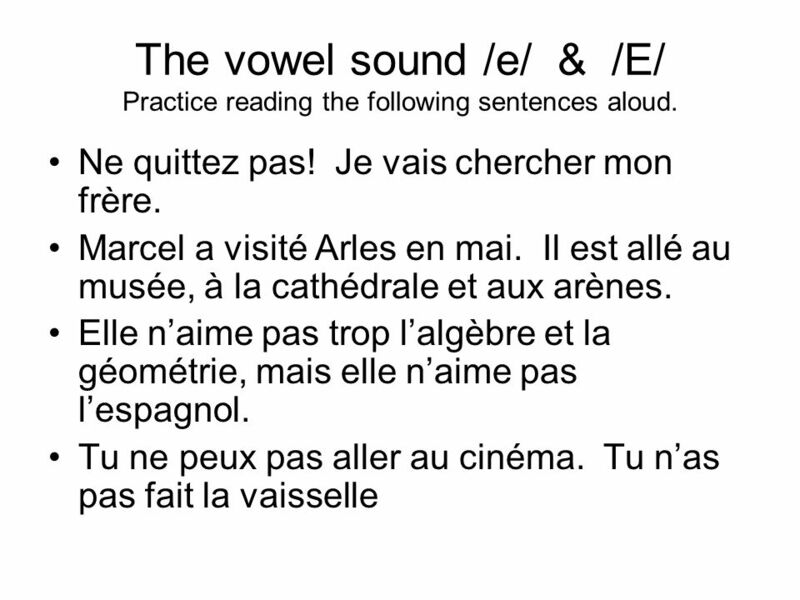 4 The vowel sound /e/ & /E/ Practice reading the following sentences aloud. Télécharger ppt "The vowel sound /e/ Listen to the vowels in the word “préfère”. How are they different? The first one is pronounced /e/ and the second one /E/. To make." 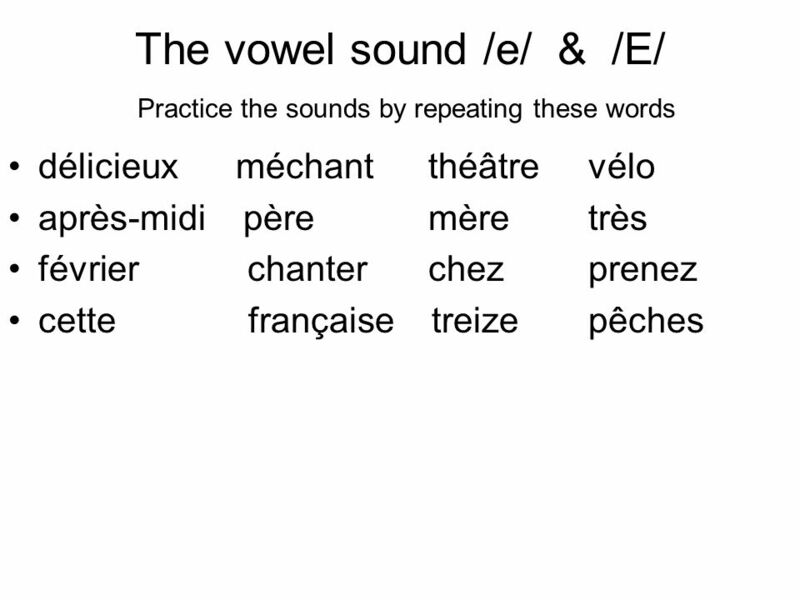 The sound /o/ The sound /o/ is similar to the vowel sound in the English word boat. To make the sound /o/, hold your mouth in a whistling position. Keep. Prononciation Autres sons et la liaison Other sounds and liaison.